Combine grapefruit strips and sugar in a jar and press against the side of the jar with a spoon or muddler for one minute. Add crushed habanero and repeat for another 30 seconds. Add water to the jar then close it with lid and shake the contents until all the sugar has dissolved. Strain the mixture into a bowl and discard the solids left over. For the shandy, pour grapefruit juice and one Tbsp your mixture into a glass with ice and beer. Coat the rim with chile-lime salt and garnish with grapefruit and lime wedges. 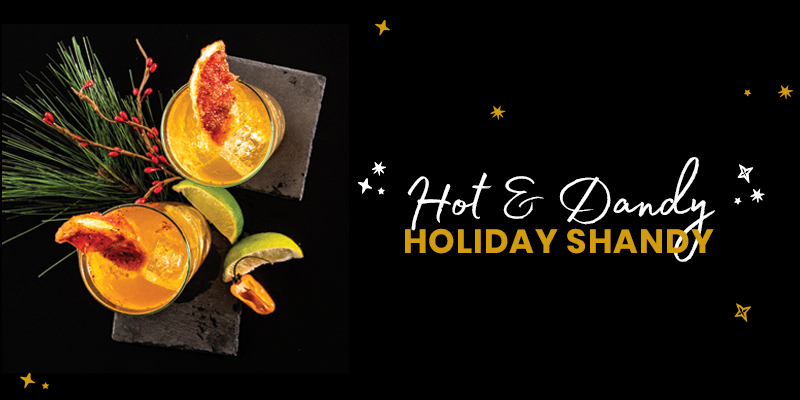 Shop all the ingredients for the merriest holiday beverages online or in store today!